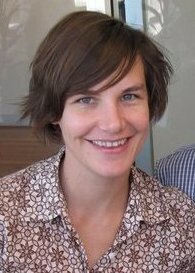 The Religious History Association is proud to announce that Meredith Lake is the winner of the 2012 Bruce Mansfield Prize for her article, “Provincialising God: Anglicanism, Place and the Colonisation of Australian Land,” Journal of Religious History 35.1 (March 2011): 72-90. The Bruce Mansfield prize is worth $500 and is awarded for the best article published in the Journal of Religious History in the previous calendar year. It is named after the foundation editor of the journal, Professor Bruce Mansfield.